Woven with a dramatic chestnut-brown field and with contrasting floral accents, this exceptional carpet from Aubusson incorporates a unique combination of European and French elements. Antique French Aubusson Rug, Origin: France, Circa: Late 19th Century– This dramatic antique rug — an antique French Aubusson rug — is a gorgeous piece that features many of the characteristics that exemplify this distinctive (and often profoundly beautiful) style of antique carpets. 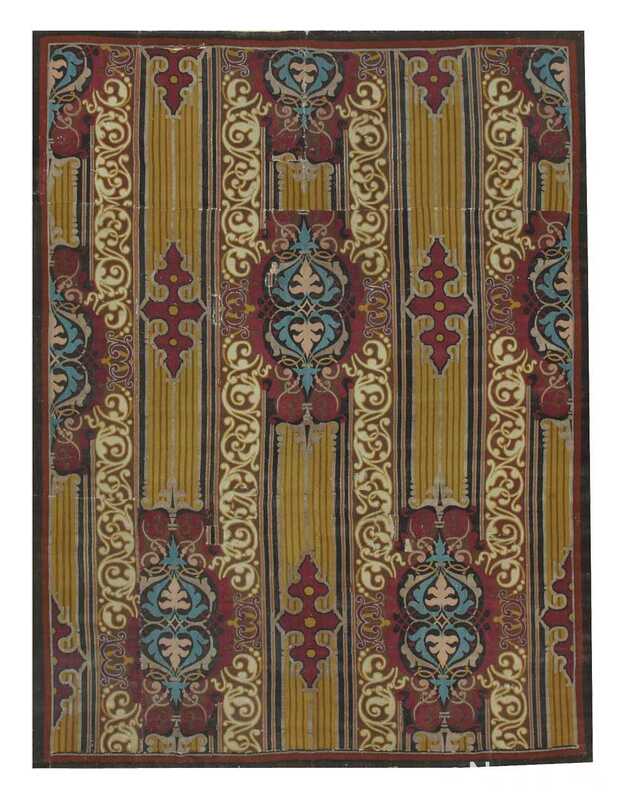 This beauty of a rug features an elegant repeating pattern of oxidized roundels and miniature rosettes over a soothing and contemplative chestnut-brown field. In addition to the central medallion bordered by floral garlands and a chain of blue forget-me-not flowers, the floral theme is continued throughout the traditionally French borders — floral motifs are often prominently featured in Aubusson carpets such as this. This particular piece also features beautifully sconced corner brackets which are characterized by impeccable acanthus-leaf scrollwork, done up elegantly with magenta highlights and bouquets of blue posies that complement the floral garland and ivy-leaf border. 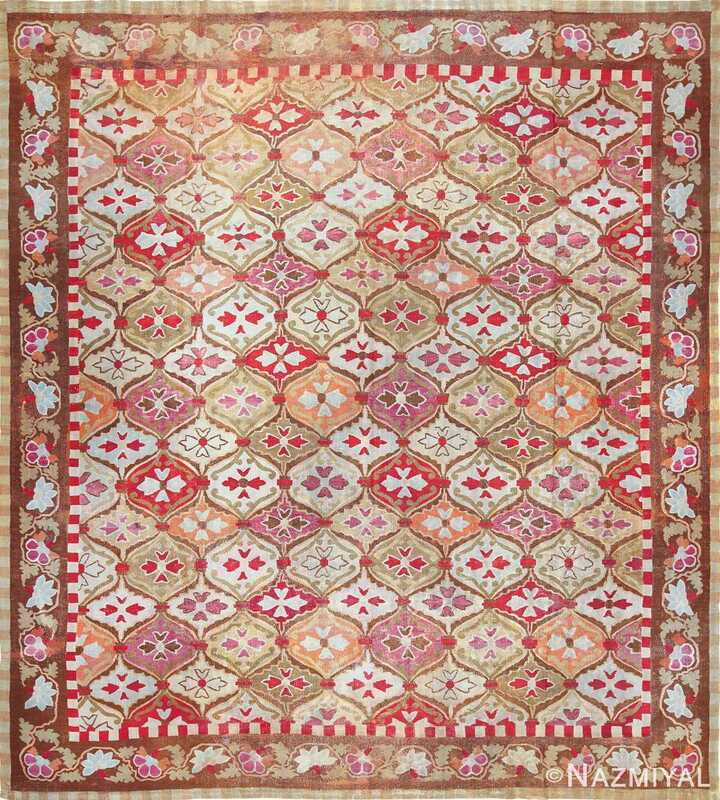 All in all, this is graceful and beautiful antique French Aubusson rug and the beautiful floral motifs make it a very desirable and decorative Aubusson rug.